Warm up the car, fill a thermos to the brim with hot chocolate and grab some cookies so the whole family can enjoy an evening of twinkling Christmas lights in San Diego. Please note, some light displays and events are weather dependent. 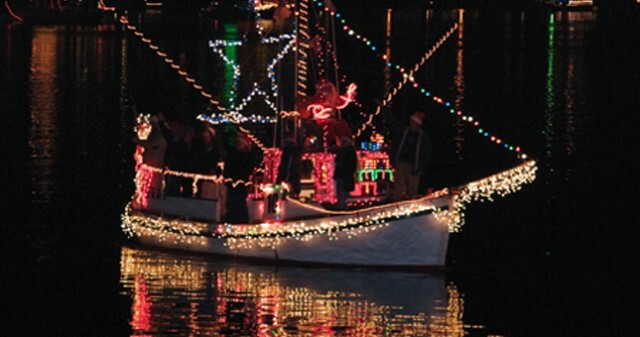 More than 80 lavishly decorated boats will sail over the calm waters of the Big Bay during the San Diego Bay Parade of Lights. The parade starts at Shelter Island and makes it way down to the Ferry Landing on Coronado. Make sure to arrive early at one of the viewing spots that include: Harbor Island, Shelter Island, the Embarcadero, Seaport Village and along the pathway on Coronado. 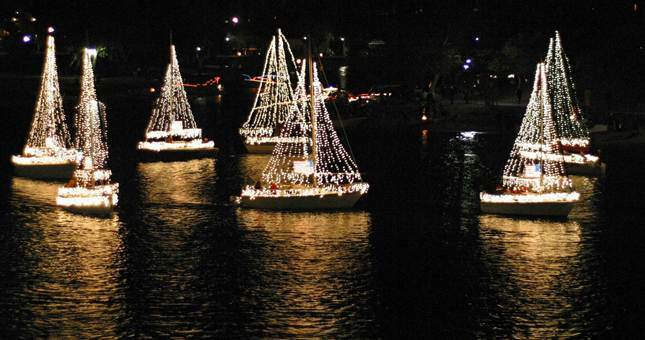 Dozens of vessels will take to the waters of Mission Bay with decorations and lights aboard. Arrive early to secure a good viewing spot on Crown Point, the east side of Vacation Island or the west side of Fiesta Island. 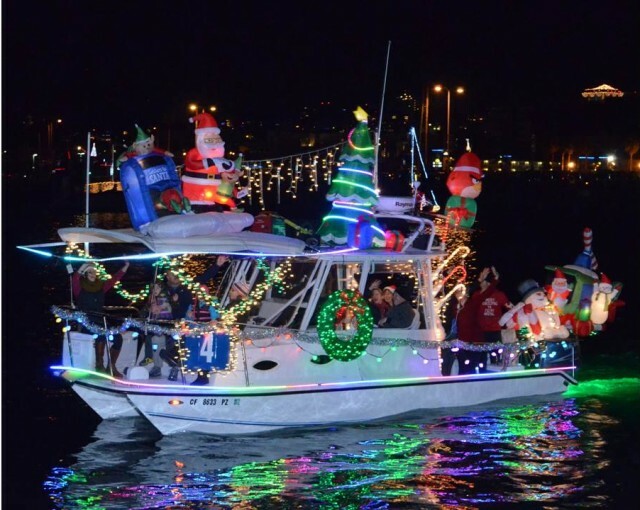 Fishing boats, sailboats, yachts, kayaks and dingys dressed up in holiday swag and circle the Oceanside Harbor to enchant onlookers at the harbor, restaurants and beach. 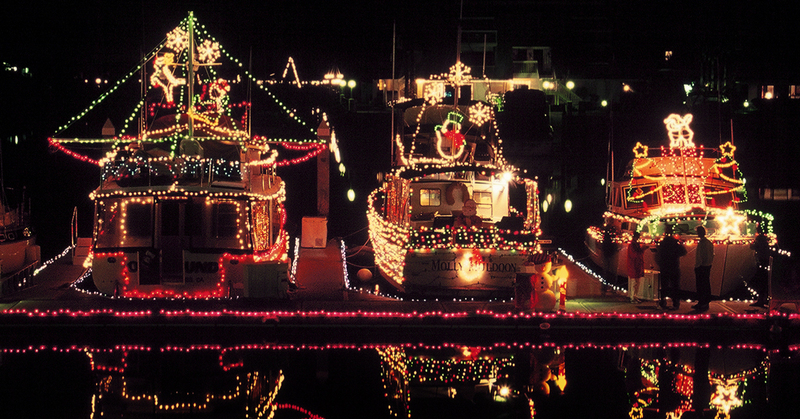 Many of the boats feature people dressed up like Santa waving to the crowd. One of the best viewing spots is along the side of the Oceanside Harbor near the fishing dock and police station. From this vantage point, you can see the parade twice! 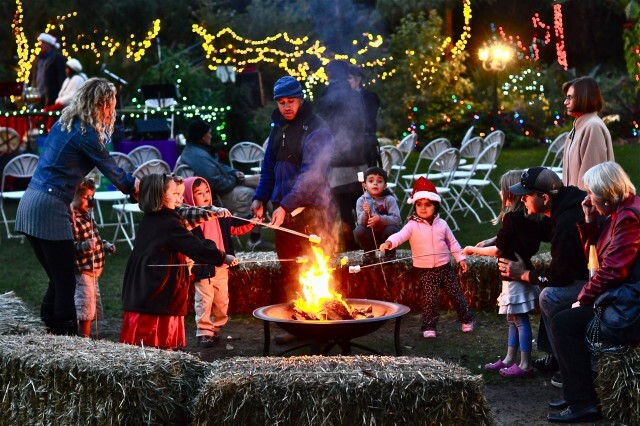 At night, the San Diego Botanic Garden is transformed into a winter wonderland with over 100,000 lights, live music, horse drawn wagon rides, warm beverages and snow (on certain days, make sure to check in advance). Just make sure to bring a sled (no metal runners please). A labor of love by two parents for their two sons with autism, the Schimka family has been lighting up Belardo Drive for the past seven years while raising money for the National Foundation for Autism Research. The display, which is synchronized to the music on 106.1 FM, has grown tremendously over the years and this year will include a new animated snowman and an improved spiral mega tree! Curtis Muller puts on an incredible “symphony of light” as he likes to call it. The 15 minute shows feature lights, lasers, and fog machines synchronized to classic holiday music. Showtimes: 6:30 PM, 7:15 PM, 8:00 PM, 8:45 PM. There are plenty of San Diego neighborhoods who collectively get into the holiday spirit with entire blocks lit up with Christmas lights. San Diego Family Magazine has collected all the locations on one printout you can download via the link below. Know of any other great Christmas lights in San Diego or have any updates to the ones listed above? Let us and others know in the comments below. This entry was posted in Attractions, Family Vacations, Outdoor Adventures, San Diego Events and tagged mission bay and beaches, north county coastal, north county inland by Brent Bernasconi. Bookmark the permalink. A warning to parents of small children about the “Griswolds” lights display on Stoutwood in Poway…the first decorated home features mounted deer heads pulling a small vehicle, meant to portray reindeer pulling a sleigh, I guess. Not sure that the heads of dead deer is an appropriate holiday display. Our daughter was completely freaked out. Want to view lights in oceanside / Carlsbad by bus, train, walking..
Upper Kensington is beautiful and the luminaries on Christmas Eve in RB near Westwood/Indian Lore Crt. the best.